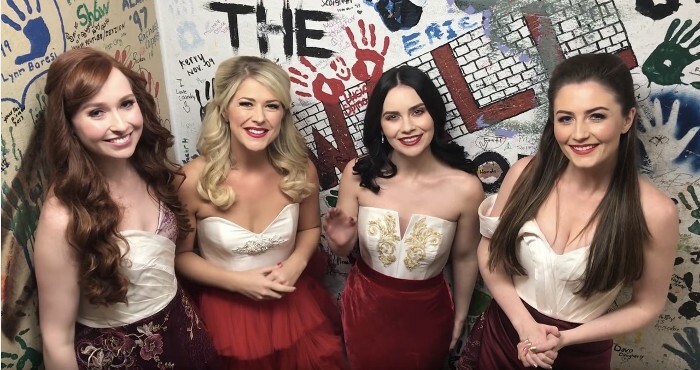 Merry Christmas & Happy Holidays from Celtic Woman. As 2016 draws to a close and we finish another phenomenal Symphony tour we would like to take the time to reflect on another exceptional year for Celtic Woman. This amazing year has included two #1 Albums and our first Grammy Nomination for the album “Destiny”. We are looking forward to spending the holidays with our families by a warm fire. We wish you all a happy and peaceful holiday and we look forward to seeing you in the new year with our brand new “Voices of Angels” Tour. Nollaig Shona agus bliain nua faoi shéan is faoi mhaise daoibh go léir.